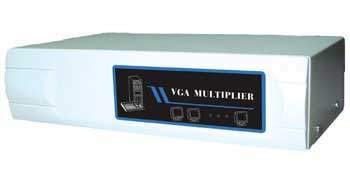 Splitter - SVGA XGA 8 Output unit. Displays images from your computer on up to eight monitors. Connects Monitors and Amplifies up to 100 Meters Away.